Are you a highly motivated real estate agent with a positive attitude, strong work ethic and a love of NH’s Lakes Region? Read below to learn about how Roche Realty Group can help you succeed! With a solid track record of success, a full support staff and zero corporate overhead. Incorporated in 1992, Roche Realty Group is one of the top independent real estate companies in New Hampshire for all-time sales. 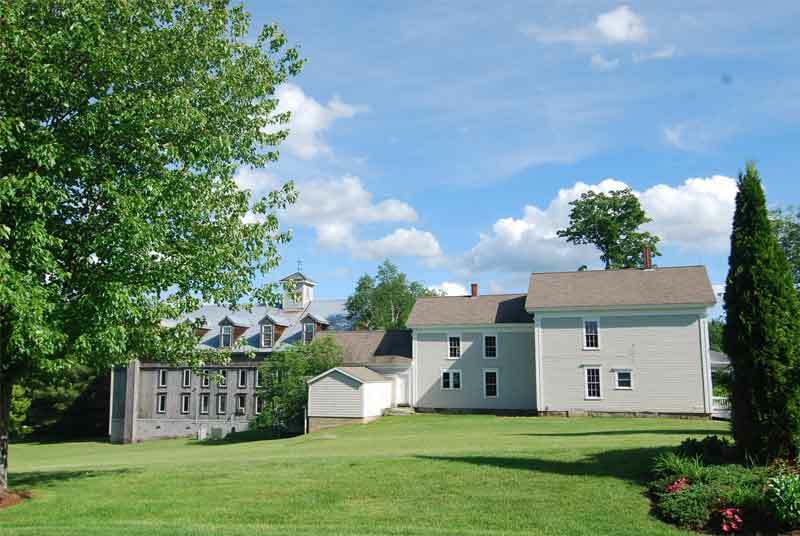 Since 1997 (when NNEREN was started), Roche Realty Group has sold $2,008,374,144 of New Hampshire properties, involving 7,472 transaction sides and has ranked in the Top 10 Real Estate Firms in the entire State of New Hampshire out of 2,354 firms statewide reporting sales during this 21-year period. At Roche Realty Group, people come first. At our company we believe that if we treat our agents, our staff and our customers with respect, honesty and integrity we will create a positive, collaborative work environment that brings lasting success. Roche Realty Group is not an out-of-state brand. We are a family-owned, independent company. 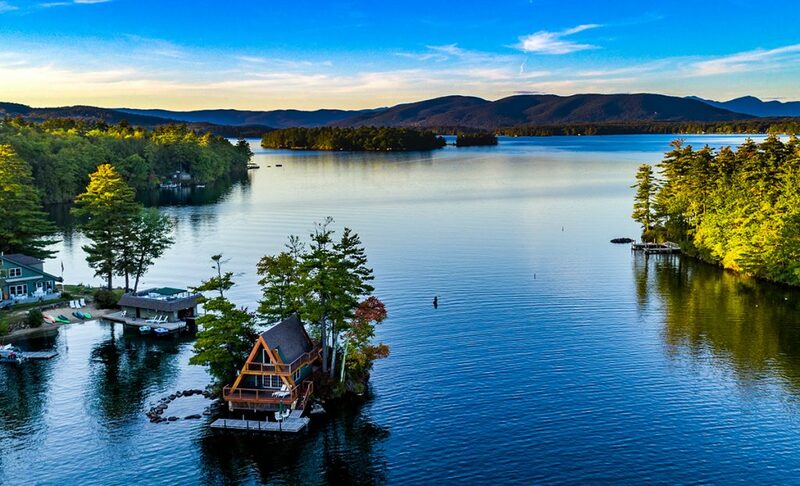 With a team of over 30 professional REALTORS® and a full-time, in-house support staff, we service the entire Lakes Region, Central New Hampshire, and areas ranging up to the White Mountains. Frank Roche, President / Founder of Roche Realty Group, has been practicing real estate for over 42 years and is highly experienced in all facets of the Lakes Region real estate market. He opened the company in 1992 with a vision of creating a non-corporate, innovative and collaborative environment in which to work. Prior to opening his own company, Frank was inducted in the Century 21 International Hall of Fame for his sales performance over the years. He was ranked 10th in the country out of 75,000 Century 21 agents nationwide. 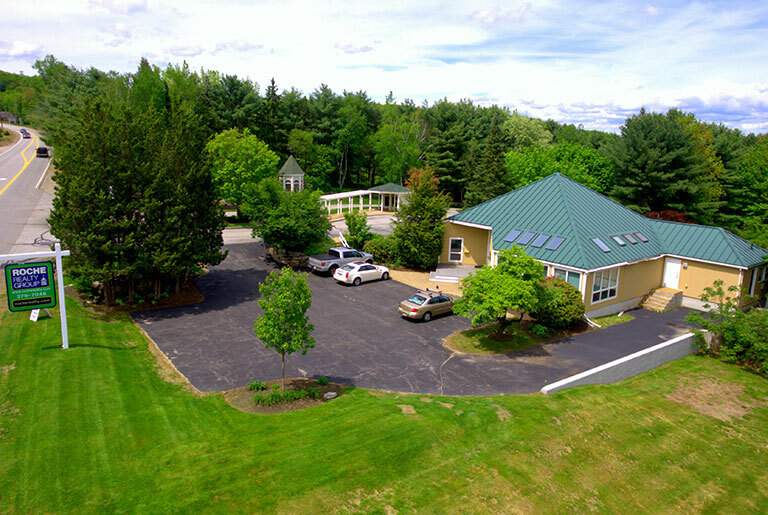 When you work with Roche Realty Group, you work with a leader who has sold and was involved in the development process of a majority of the water access and waterfront communities in New Hampshire’s Lakes Region. Frank is passionate about NH real estate and his enthusiasm shows when you meet him. Tired of paying high fees for everything? Our independent brokerage can offer you more. From desk fees and franchise fees to in-house referral fees, your out-of-pocket costs can really add up when you work for a large corporate company. Furthermore, many brokerages offer little support for your marketing efforts. You may find yourself picking up the bill for everything from custom photography to graphic design. At Roche Realty Group, we offer an entirely different model for our agents with a dedicated staff and in-house marketing department to support you, so you can focus on your clients and close more sales. If you have a marketing vision, it can be implemented at no design cost to you. All of our marketing and company policies are designed to help you grow YOUR business. As a local, family-owned company we care about the success and individual goals of each of our agents. Our Principal Broker, Frank Roche, never takes on listings or buyers; instead he refers his personal leads to Roche Realty Group agents on a rotating basis. Frank is 100% committed to the success of our team and is available to assist and give advice wherever needed. In a day where many brokerages have cut out significant overhead to grow and acquire other companies, we are proud to be small in scale so we can focus on providing excellent customer service and expanding what we offer our agents and their clients. 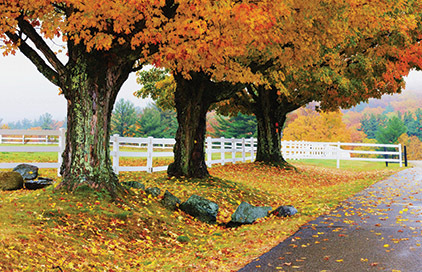 While we have a global marketing reach, our expertise in rooted in selling property in New Hampshire’s beautiful Lakes Region. Roche Realty Group employs a full-time Marketing Manager who holds an active real estate license, as well as a full-time Graphic Designer to assist agents with custom marketing. Graphic design services are provided in-house at no cost to our agents. From custom mailers / brochures to digital and social media, our creative staff are always innovating, learning, and sharing their knowledge with our agents. Our full-time office manager keeps track of our books as well as our pending and closed real estate transactions. Highly organized with a background in banking and an active real estate license, she is a great asset to our team! Because this is an in-house service, commission checks are issued promptly after closing and our manager is always available to answer any questions for our agents. From inputting listings in the MLS system to answering phones and stocking supplies, our two Administrative Assistants keep things running smoothly in our offices. Many brokerages have switched to automated phone systems to replace a front desk assistant. While there are perks to automation, we have found that our agents benefit greatly from having trained administrative staff on hand. NEW for 2019! 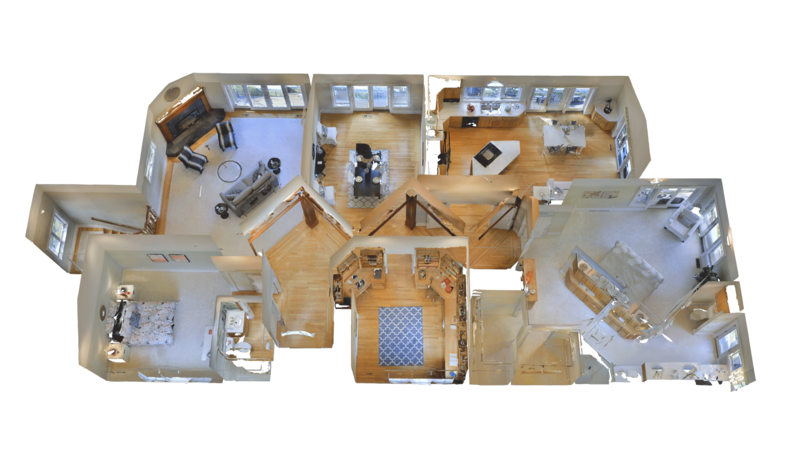 Roche Realty Group is now offering Matterport® Photography with 3D Showcase – an immersive online 3D experience that gives buyers a true sense of the feeling of your listing before they ever see it in person. Roche Realty Group invested in the equipment and software to provide Matterport® in-house. Our staff is available to take 3D Matterport® scans on location at your listing, and will assemble the tour for you. In the end, you will have a direct, branded link to the final tour which you can use for marketing your listing. Buyers and sellers are benefitting immensely from this new technology. According to Realtor.com, only 44% of REALTORS® are currently using drones to market properties. Roche Realty Group embraces this technology where appropriate when it can enhance the marketability of the property. 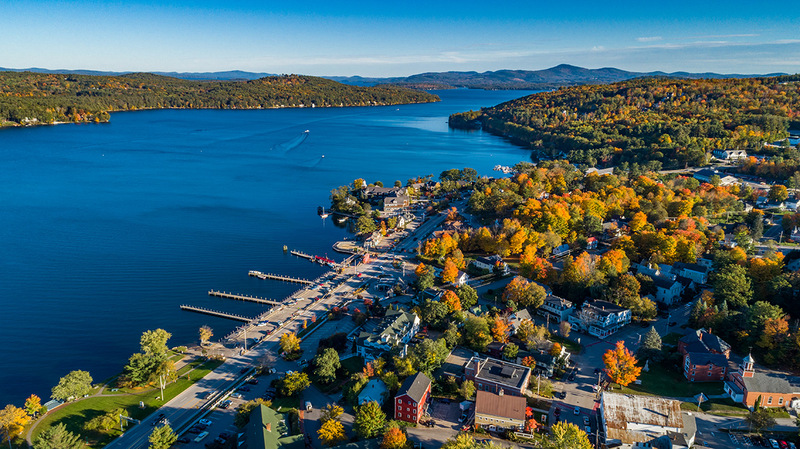 Our licensed drone photographer provides a quick turnaround and captures incredible images and videos that promote the Lakes Region. We have videos on file that promote many of our towns, communities and developments. Homes with good DSLR photography are more likely to sell within six months than homes with unprofessional “point-and-shoot” photos. It is not just about the quality of the photos, however; most of the work we do for our photography goes into the post-processing and editing work which makes the photos and homes really shine. We have several high quality DSLR cameras in-house, with extra wide angle and multiple zoom lenses. We don’t just provide the cameras; our staff will actually go to your listing and take professional photographs for you, saving you time and significant money. Why does Roche Realty offer these services to our agents free of charge? We are dedicated to high quality branding and consistent standards in marketing. Our goal is to maintain this standard of marketing for all our agents’ listings. When a customer lists with Roche Realty Group, they already know what to expect. This level of service results in happy clients and more business for you. What can you expect as an Agent at Roche Realty Group? No desk fees or monthly charges for office space! Since 1976 Frank Roche, and then Roche Realty Group (inc.1992), have been instrumental in the development, marketing, and sales of a majority of the Lakes Region's new communities, water access developments, condominium developments and new subdivisions. This experience combined with our extensive marketing program ensures that developers and clients often go to Roche for advice and direction. At the end of the day, all you need to focus on is providing excellent service to your clients so you can uphold your great reputation and grow your business. We will take care of the rest. Interested in joining our team? Let's chat!